Do you suffer from painful headaches, earaches and jaw pain? These may all be symptoms of a TMJ dysfunction. The temporomandibular joint (TMJ) helps attach your jaw to your skull. When a TMJ dysfunction occurs, it can affect your ability to chew or move your jaw without pain, and there may even be a clicking noise when moving your jaw. Michel Dental offers non-surgical TMJ therapy options to help manage the pain and help you live life once again. 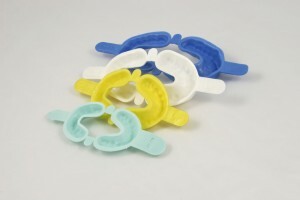 Oral appliances are a common form of TMJ therapy that works for many people. Dr. Michel will have a mouthguard custom made for your smile that you’ll wear while you sleep to help take some of the stress off of your jaw and encourage proper alignment. Other TMJ therapy solutions can include managing your stress, lifestyle changes, and repairing your teeth and jaw to fix misaligned bites. Dr. Michel will carefully consider the right solution or combination of solutions to help manage your discomfort and restore normal function to your jaw. Jaw pain can be treated with TMJ therapy to help restore the health and function of your jaw. If you think you’re suffering from TMJ dysfunction, give our office a call today. We’re here to help and have a variety of options available to create the right treatment plan for you.